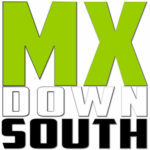 MX Down South is at the Loretta Lynn Area Qualifier at Lincoln Trail Motosports in Casey, IL this weekend. Check out Bud Davis’s photo gallery from Friday’s practice round. Make sure you give a Bud a follow on Instagram @budavis116.